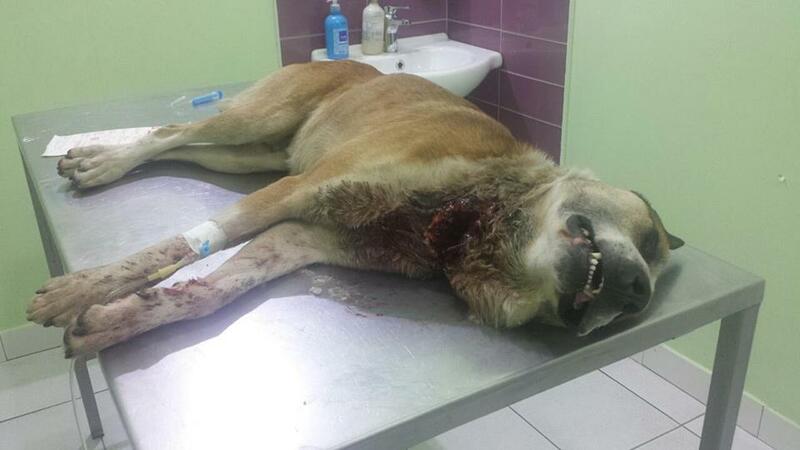 Bosnian rescuers, activists and citizens are shocked by a new case of brutality against a dog. 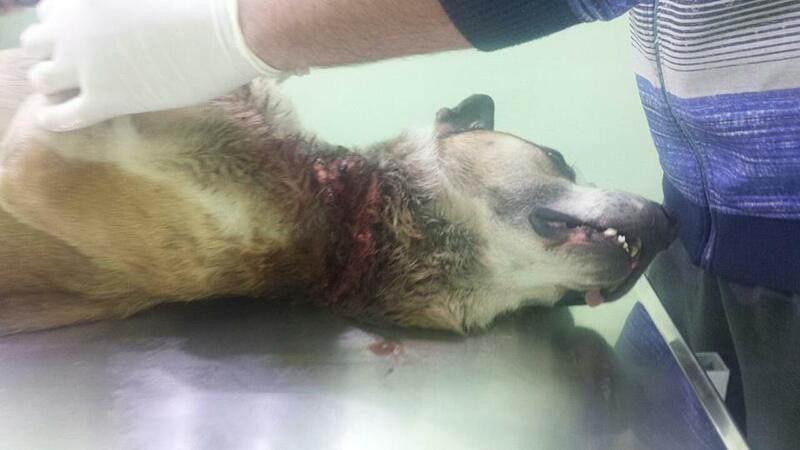 A badly tortured dog was found near a children’s school in Hrasno, part of Sarajevo, on the 19th February. 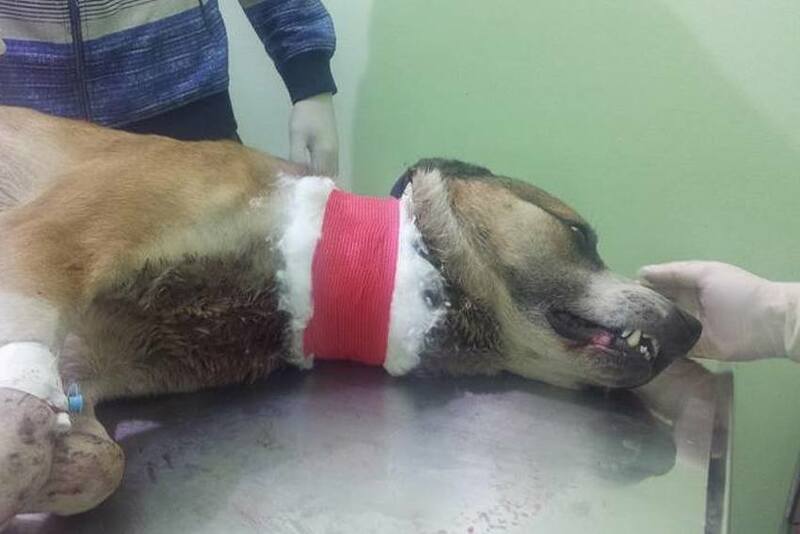 Two local girls noticed that dog had a very serious wound on his throat and they took him to the veterinary station where a veterinarian confirmed that someone had tried to cut dog’s throat with a knife or other sharp weapon. 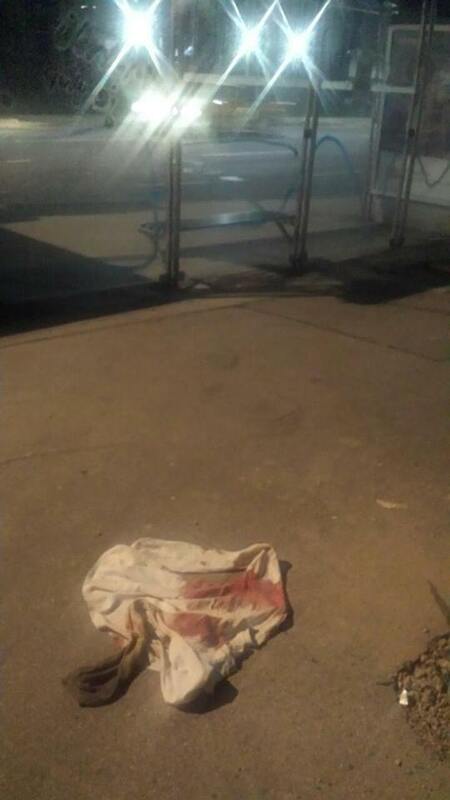 The wound of the throat was very deep and wide and it was clear that the dog had been brutally attacked. 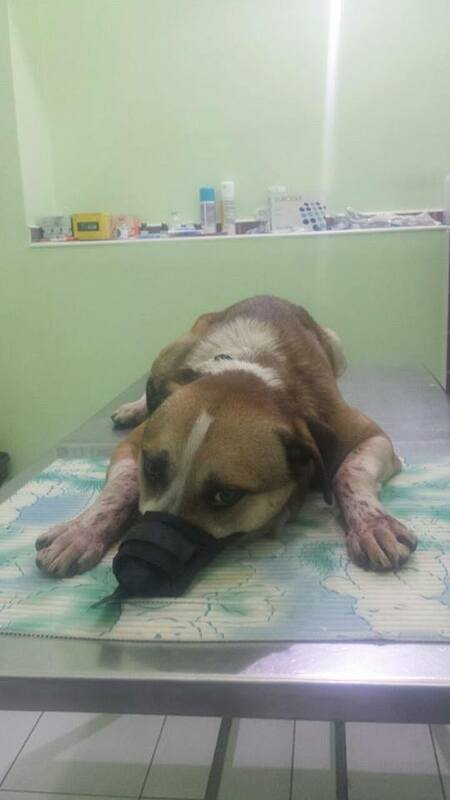 The dog, named Leon by his rescuers, has been operated on two times so far and he is stable. There is a risk of sepsis but he is under constant veterinary care and all necessary medications are being administered. 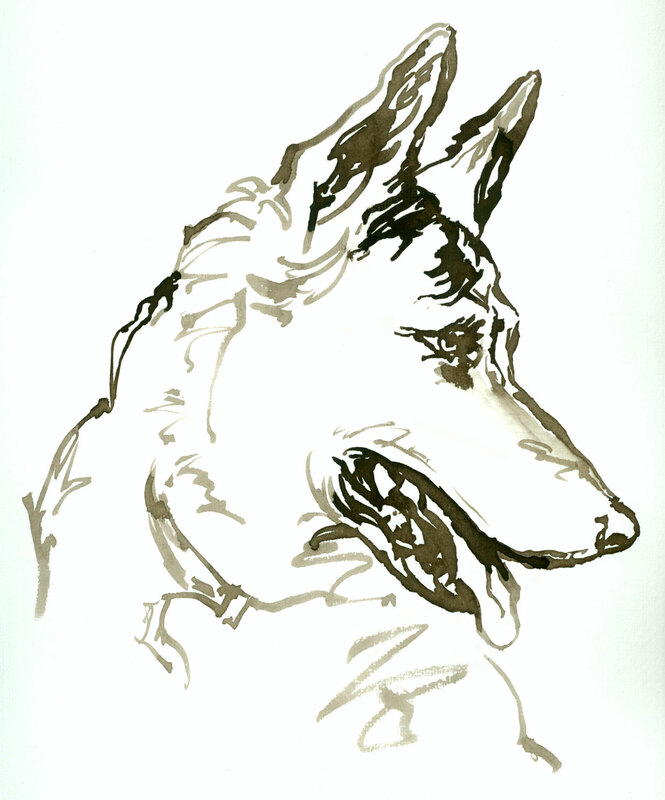 He very responsive with his rescuers, once again proving the extraordinary faith and trust that dogs have in humans, in spite of being treated so abominably. All Bosnian media portals have publicised this case and a crimi nal report has been filled against the currently unknown offender(s). Since the number of cases of torturing of animals has been increasing in Sarajevo, we all want to force the police and prosecutors to find the person or persons who committed this awful crime. It is more than obvious that Sarajevo is a city filled with psychopaths as this brutal crime proves. 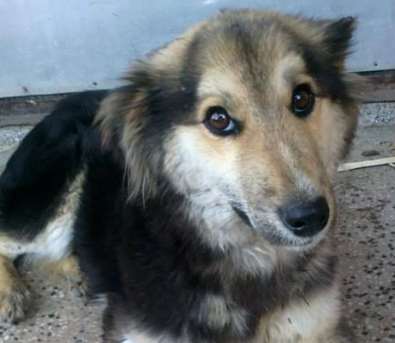 Also, there is the fact that the dog was found near a school, surely the law enforcement forces must take notice? It is evident that there is a someone who enjoys torturing of animals in Hrasno, Sarajevo and therefore all necessary actions should be done in order to identify this person. Animal abusers are psychopaths who intentionally know what they do and who are fully aware of their actions and the consequences, but who do not empathize with other living beings. The most important thing for them is to find satisfaction by expressing power and control over helpless creatures and thus cure their frustrations and / or complexes. Once again rescuers want to prove that animal abusers are people with pathological personality features, who tend to become abusers and killers of people (if not already). Prosecution and sectioning of animal abusers is a basic function of animal protection. Special prevention sends a message to abusers that if they reoffend their offence against animals, they are to be arrested and punished. This message is thus sent to society that the state and the judiciary do not tolerate animal abuse, and the problem is recognized as a deep social anomaly and that each abuser is to be punished. We need to ensure that these things happen in Bosnia Herzegovina otherwise the abuse will continue. Leon’s recovery will be a long process and if you want to help rescuers who are taking care of him, you can contact Aida Halilagic and Alma Kovacevic on Facebook. 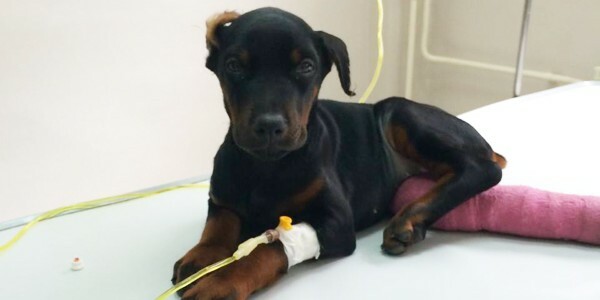 At the time of writing all funds other than 15 euros have been raised to cover the initial operation and one month in the vet clinic, but ongoing care will be needed. You can donate via Paypal to donations@awabosnia.org as per the instructions below, but be sure to mark you donation for LEON. This poor dog has an opportunity to get better life thanks to these good people. We all hope that he will recover from his injuries but recovery from trauma will be a long process and he will need a safe forever home where he will be safe from evil people. If you can help please contact Aida and Alma as above or send an email to info@awabosnia.org. This entry was posted in Dalida Kozlic, Dog abuse, Urgent - dogs needing help and tagged Bosnia, Bosnia-Herzegovina, dog torture, Sarajevo by Sandra Jensen. Bookmark the permalink.